Top-Loading Composite Tough-Track™ Overall Length: 7"
The RAP-TRACK-A5U Top-Loading Composite Tough-Track 7" can be attached to any flat surface and can hold up to two track mounts. The RAP-TRACK-A5U Top-Loading Composite Tough-Track™ (Overall Length: 7") from the RAM Mount Bases range allows flat surface mounting for most vehicles, including motorboats, ATVs, trucks, tractors, combines, cars, and many more. 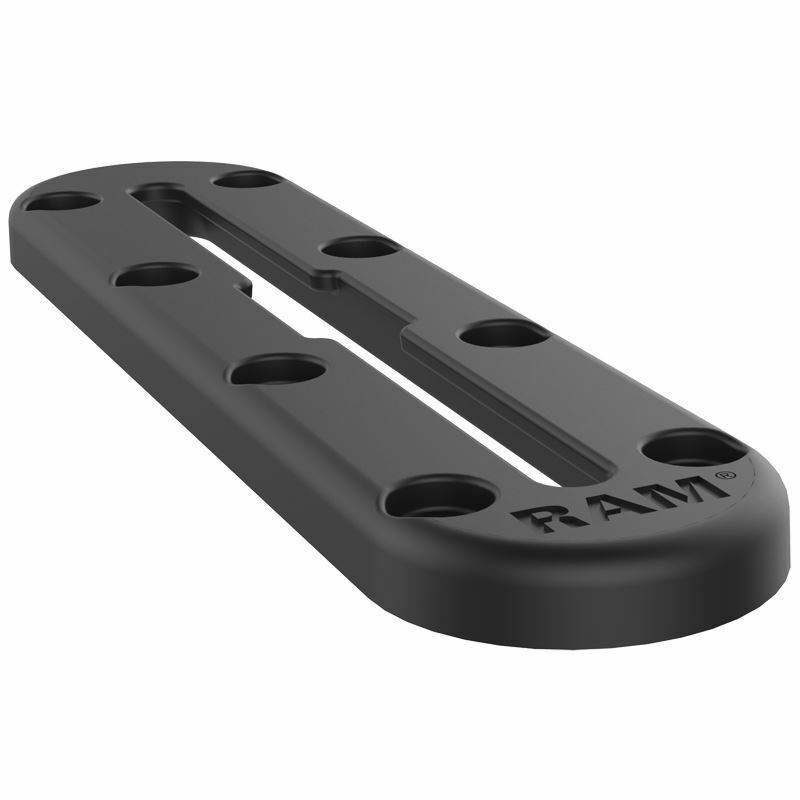 Any flat surface can have this track mount drilled into it with #10 screws, allowing for simple and quick installation. You can attach a variety of devices, such as phones, fishing rods, tablets, and action cameras. This product has an overall length of 7”. 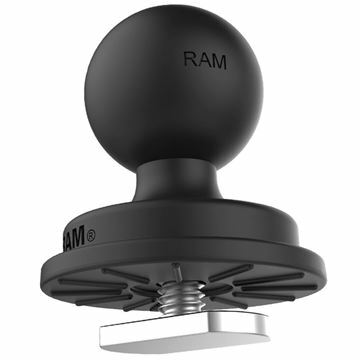 The RAP-B-354U-TRA1 1" Track Ball with T-Bolt Attachment has a strong base with a T-bolt designed for most track systems, connected to the B size 1" rubber ball. 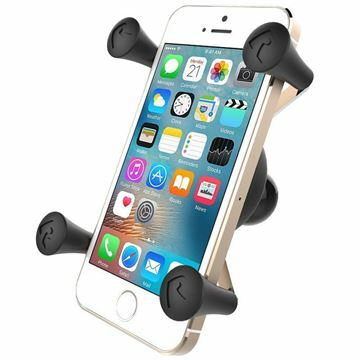 The RAM-HOL-UN7BU X-Grip Phone Holder with 1" Ball features a spring loaded four leg X-Grip® to cradle your mobile phone with a 1" rubber ball connected at the back. 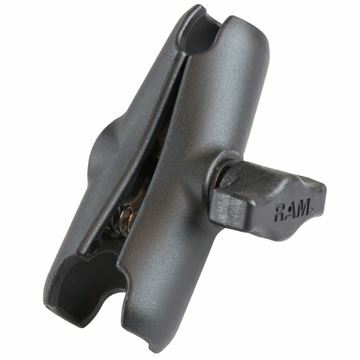 The RAM-B-201U 3.69" Double Socket Arm for 1" Ball Bases is a socket arm that can connect to RAM Mounts with 1" diameter ball bases.